Multi-religious marathon for peace in Rome. Peace, integration, solidarity. These are the fundamentals that inspired the “Rome Half Marathon VIA PACIS”. Event promoted by Rome Capitale and by the Pontifical Council for Culture. So the 21-km race begins at St Peter’s Square at 09.00 on Sunday 17 September. It will be televised live on RAI Sport. The race route will incorporate sites pertaining to five different religious denominations. It was inspired by the traditional pilgrimage of the seven churches. The “VIA PACIS” will create an ideal link between some of the places of worship and emblematic of the capital. Those are St Peter’s, the Synagogue, the Mosque, the Valdese Church and the Orthodox Church. There is also a non-competitive 5-km run. For details including registration see the multi-religious marathon for peace in Rome website. The Italian government has launched an app which will allow residents and tourists to connect to wifi across the country using a single log-in. Finally users will be able to connect instantly to a nationwide network of wifi hotspots. In railway stations, hotels and public institutions. For example – via the app, without filling in any further details after the initial authentication process. 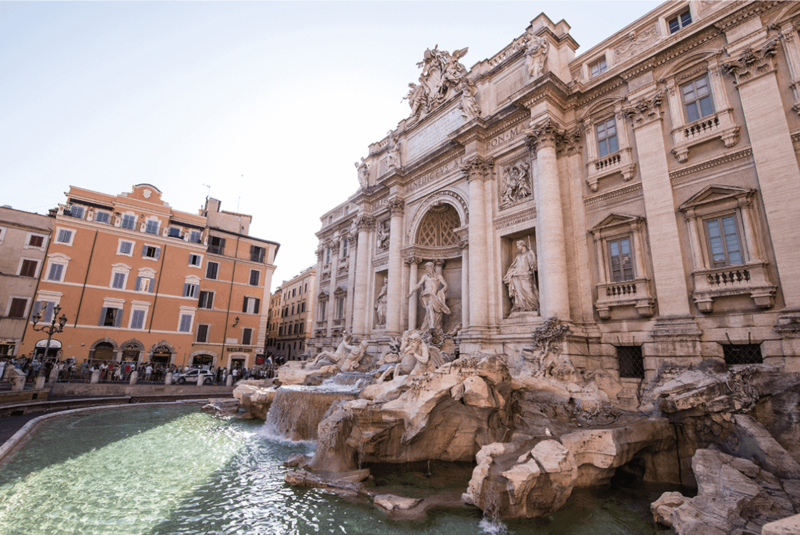 The aim of the project, launched by Italy’s Ministries for Economic Development and for Culture, is to simplify life for locals and tourists alike. The app has both Italian and English language options, and to start with it has been launched in tourist hotspots including Rome, Bari, Milan, Trento, Tuscany, and also Emilia Romagna. Culture Minister Dario Franceschini said the Wifi Italia app was an “indispensable tool for tourism”. He is suggesting that visitors could use it to book tickets for museums online. It also could be used to research alternative sites nearby to avoid overcrowding in city centres. The ministry will also use the data collected by the app to “improve Italy’s cultural offerings”. It will be accomplished through anonymous data analysis and studies of user behaviour. The Wifi Italia app is currently available on Google Play and the App Store. It has been downloaded tens of thousands of times so far. The ministries have said the app will be updated over the coming months to offer more comprehensive coverage. The app is part of a ‘digitalization protocol’ for the country’s tourist sector. Drawn up in July 2016 with the objective of improving digital services for visitors to Italy.